Hex bolts are bolts with hexagonal heads. 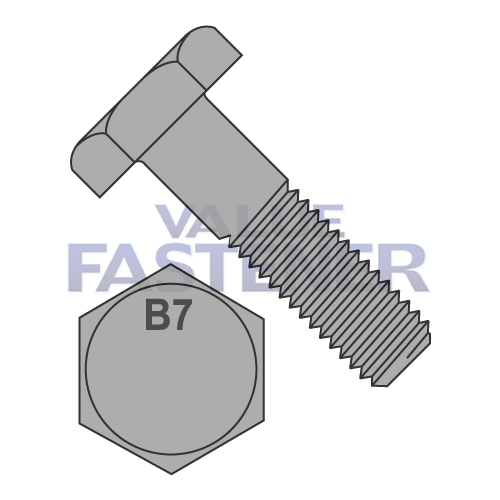 Value Fastener provides a variety of hex bolts, including heavy hex bolts, flange bolts, frame bolts, hex head cap screws, machine bolts, metric bolts, military-spec bolts, structural bolts, and tap bolts. "Hex bolts" is a large category that encompasses many kinds of bolts with hexagonal heads. What does "hex bolt" mean? Hex is short for hexagonal. A hex bolt is any kind of bolt with a hexagonal head, i.e. any bolt with a six-sided head.